Selvatura Park has some of the best canopy tour adventures in the beautiful cloud forests of Monteverde. 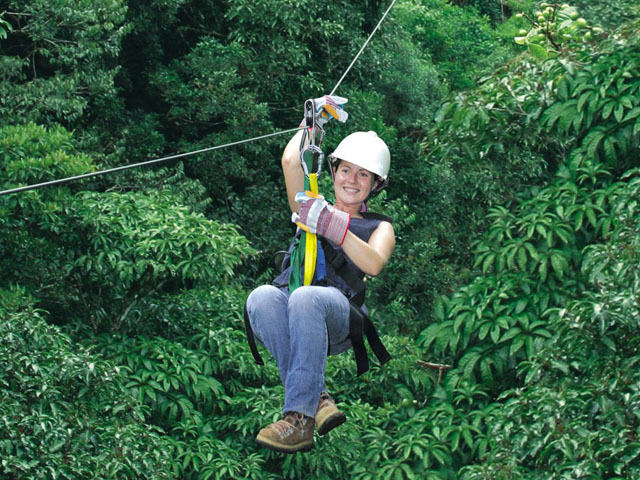 Have a blast on the Selvatura Canopy Tour: a thrilling zipline tour with an amazing optional tarzan swing, and superman cable! 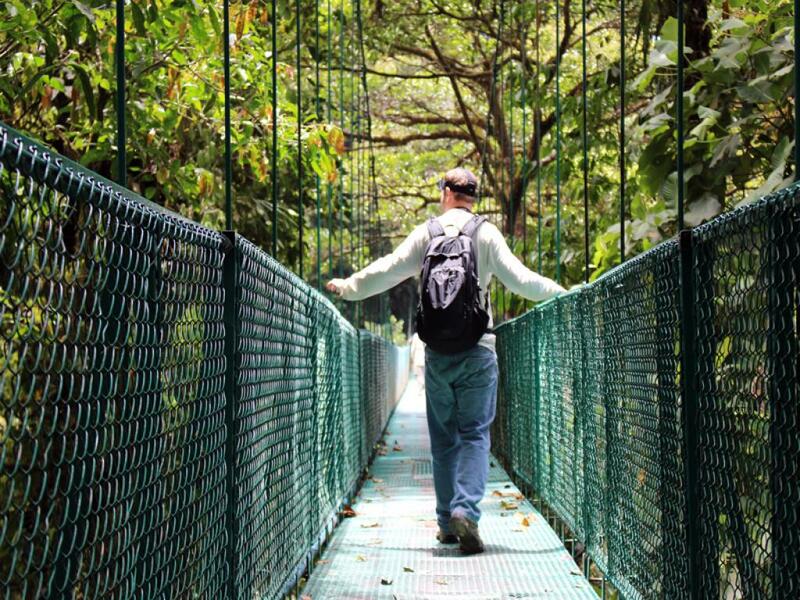 Enjoy a leisurely stroll on the hanging bridges,. 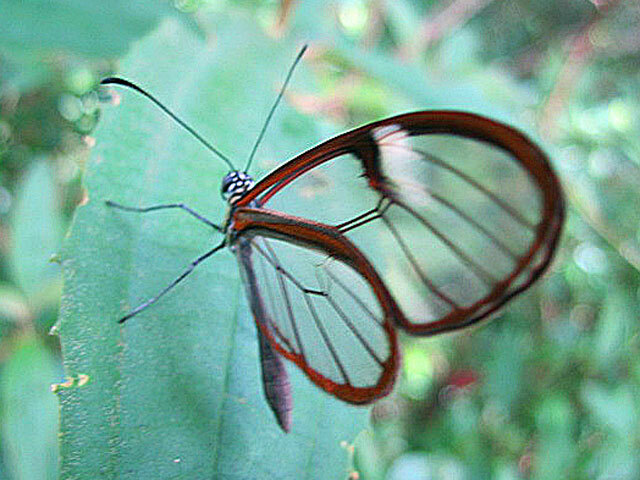 Take a Butterfly Garden Tour, Reptile or Insect Exhibition Tour. 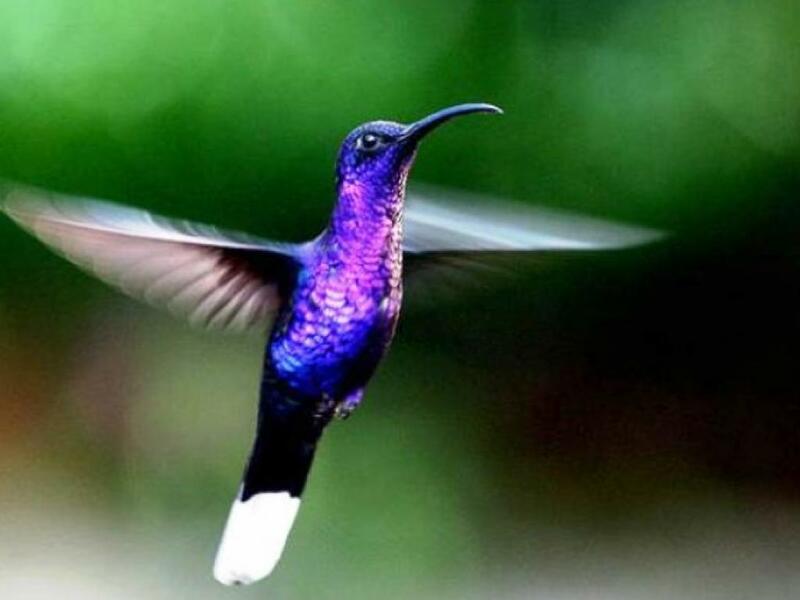 Visit the Hummingbirds. Choose one tour or do a combo! Transport from your Monteverde hotel is included for most tours (but not all, please check on price lists), at approx. 8.00am, 10.30am, 12.30pm and 2.00pm. 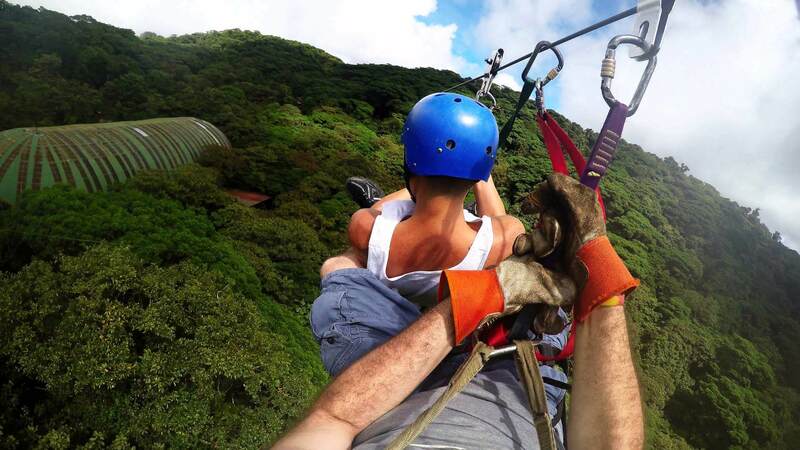 Prices range from $50 per person for the ziplines including tranport! Transport from town/hotel: approx. 8.00am, 10.30am, 12.30pm and 2.00pm. Exact pick-up time depends on the location of your hotel (usually 30 mins – 45 mins before tour time). Remember each tour takes a certain amount time. Please take this account when booking packages. For example. 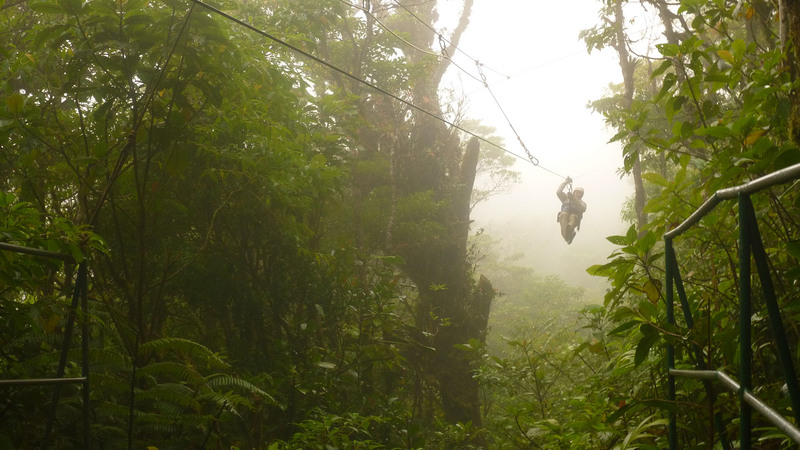 if you do the Selvatura bridges and ziplines combo, the latest pick up would be at 12.30pm. If you do combos with even more tours, you need to select a morning pick up. Please contact us if you are not sure!. 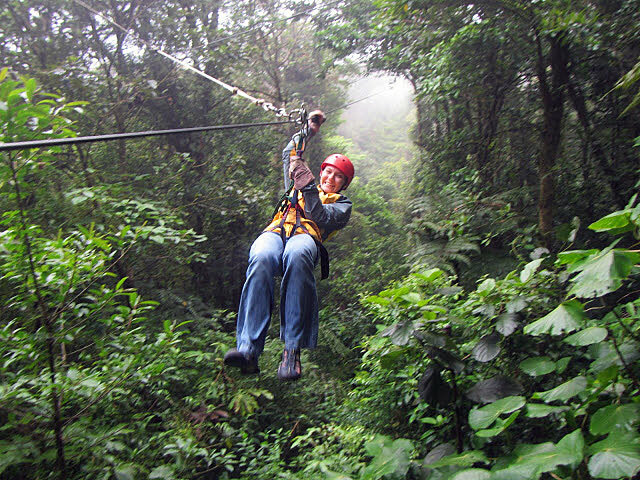 The Selvatura Canopy Zipline Tour is entirely built inside virgin and secondary cloud forest with a total of 15 ziplines and 18 platforms. 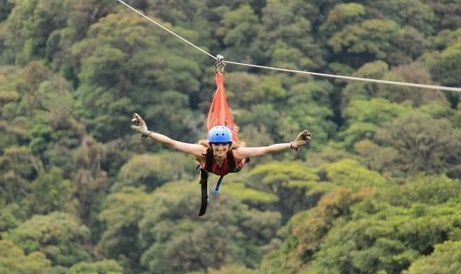 Plus one amazing (and optional) tarzan swing! For an extra cost you can also try the new superman cable. Travel between 2 miles of cables! The tour takes about 2-3 hours plus transport time from your hotel. Plus more time if you add another type of activity and enjoy a combo tour! 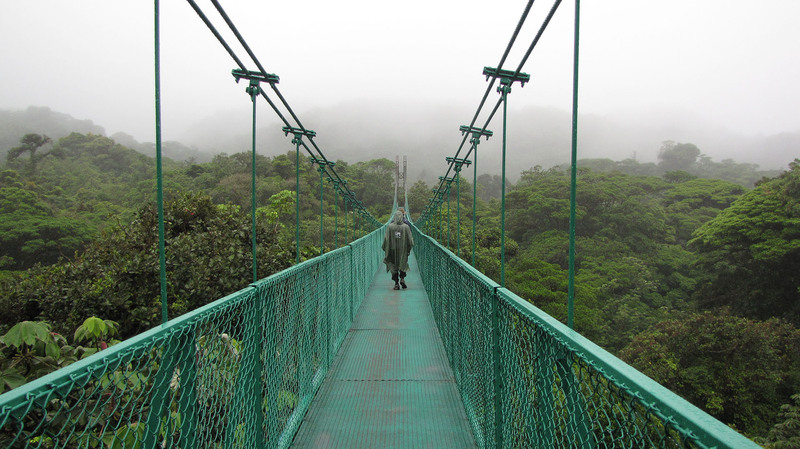 Selvatura Hanging Bridges: enjoy hiking high above the ground in the canopyand also along trails. 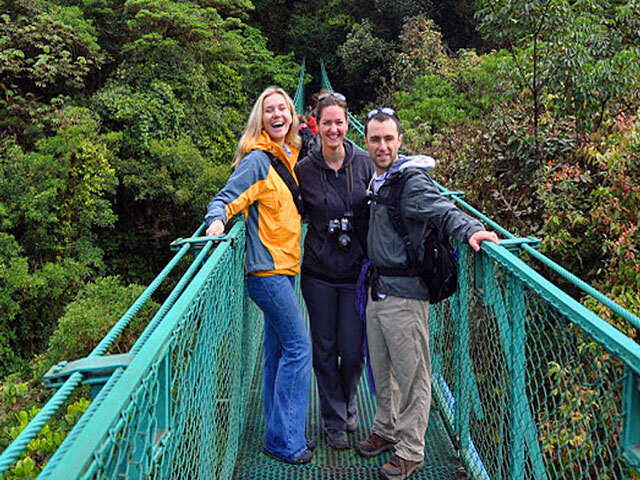 Great for bird watching and enjoying the beautiful cloud forests in Monteverde! As the bridges are suspended they do bounce a little. Overall the feeling is pretty secure due to the high railings and solid structure. Unless you have an acute fear of heights this should not be a problem. The bridges offer a nice perspective with plenty of time to look around and take photos. You can see many small trees and ferns from above and also admire birds that inhabit the upper regions of the trees. The trails are in excellent condition. It takes about an hour and a half to walk the bridges, depending on the speed you walk or if you stop to take many photos. 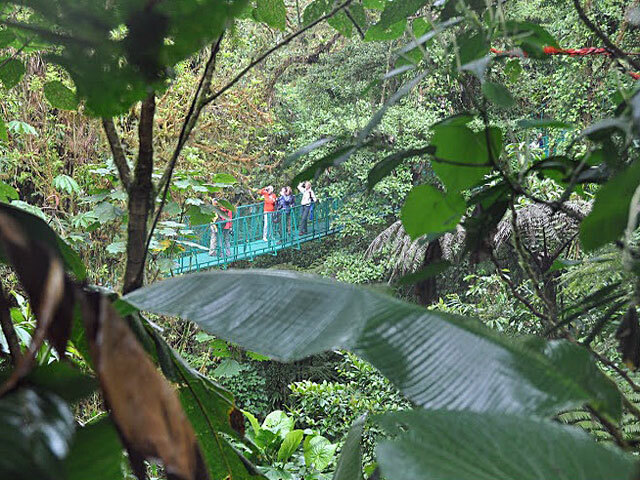 Guided Hanging Bridge includes guide, entrance and transport). Guided tours: 8.30am, 11.00am and 1.30pm (transport about 30-45 minutes before tour. 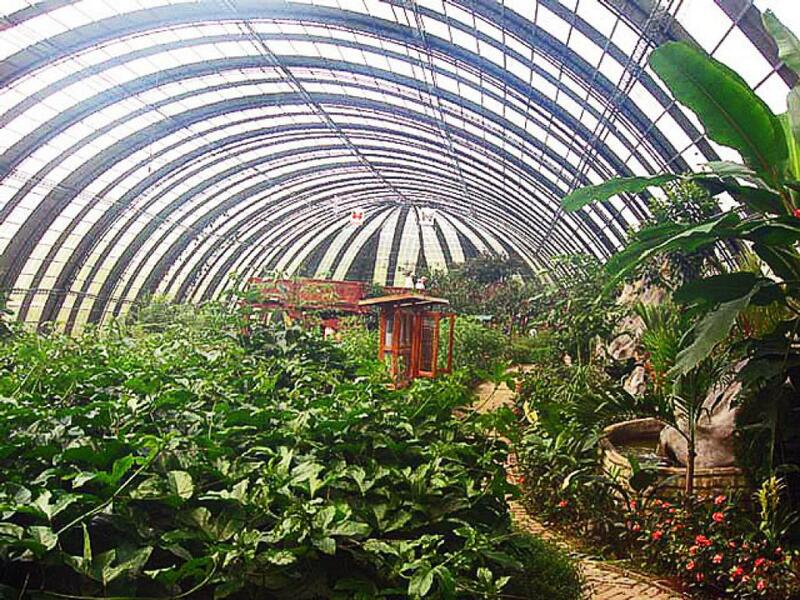 Selvatura has one of the world's largest live butterfly exhibitions featuring an 8,100 square feet dome where more than 50 different species of butterflies from all over Costa Rica can be spotted. Enjoy the world largest private insect collection: property of world famous entomologist Dr. Richard Whitten. Visitors will be able to learn about the cloud forest and observe exhibits from the forest. 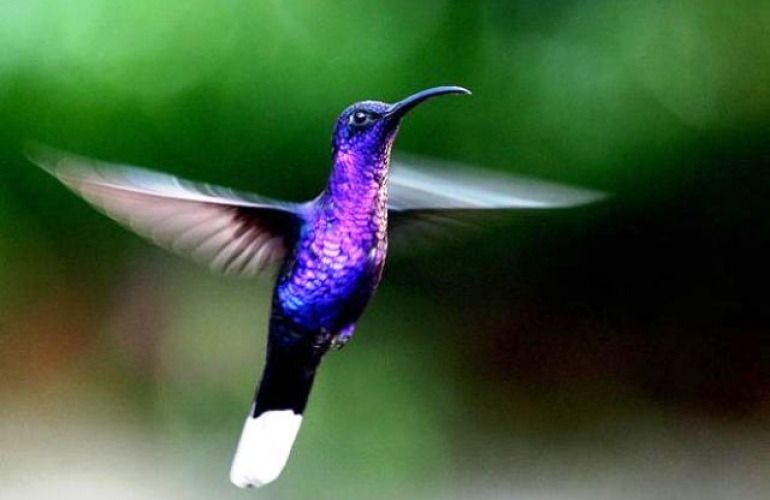 Over 14 species of fascinating hummingbirds; a treat for photographers and wildlife lovers to observe these amazing, colorful birds up close. Self-guided, no time limit. (regular, students and children). Reptile and Amphibian Exhibition: More than 30 different species of frogs, lizards, geckos, snakes and many others. 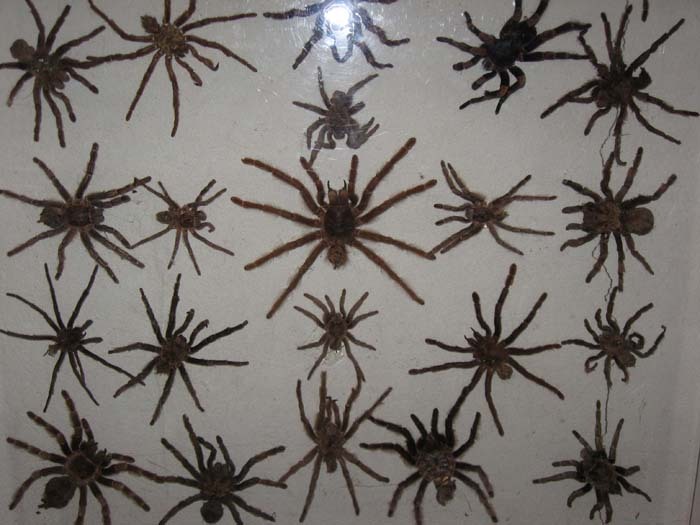 1 hour guided tour of special, climate-controlled terrariums containing live specimens. 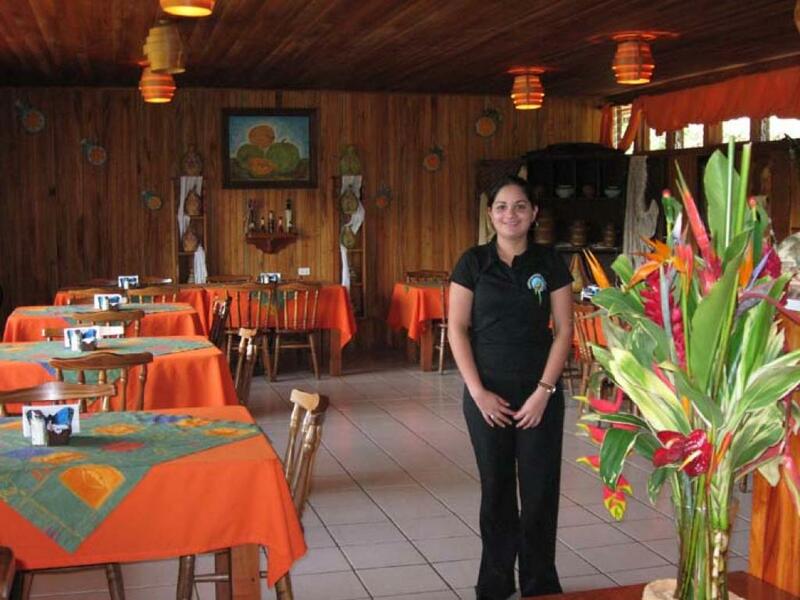 Restaurant El Jardín: rustic environment with beautiful views of the main garden. Breakfast and lunch served or simply relax and enjoy a delicious cup of coffee. 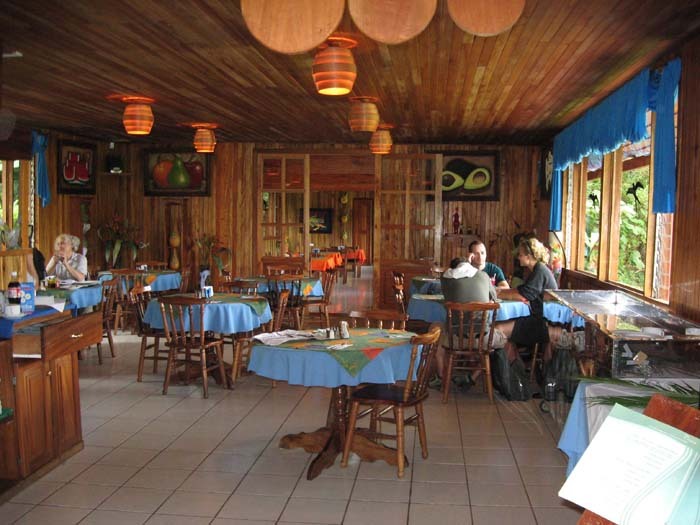 Restaurant serves pizzas, pastas, other international food as well as typical Costa Rican dishes. The Park is open daily from 7:00 a.m. to 4:00 p.m.
Transport from town/hotel is included in most of the tour prices and depart approx. 8.00am, 10.30am, 12.30pm and 2.00pm. Exact pick-up times depend on location of hotel. Return transport every two hours (approx.). Remember each tour takes a certain about of time. 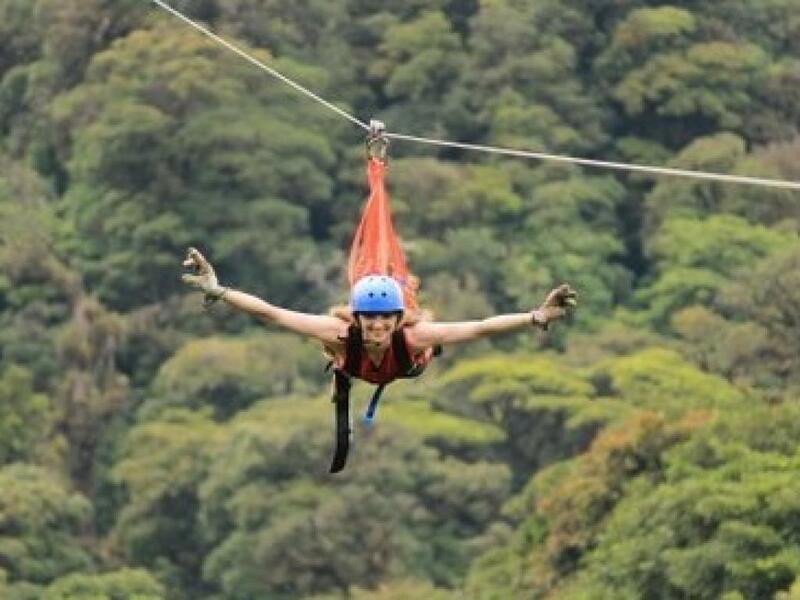 So if you do the Selvatura bridges and ziplines the latest pick up is at 12.30pm. If you do combos with even more tours, you need to pick a morning pick up. Please contact us if you are not sure!